Simple, sharp and safe, the Ceramic Safety Cutter features a sharp, rustproof ceramic blade that will cut paper, plastic, film, Mylar and cloth but will not accidentally cut your hand. There is a built-in magnet so the safety cutter can be placed on refrigerators and metal cabinets. 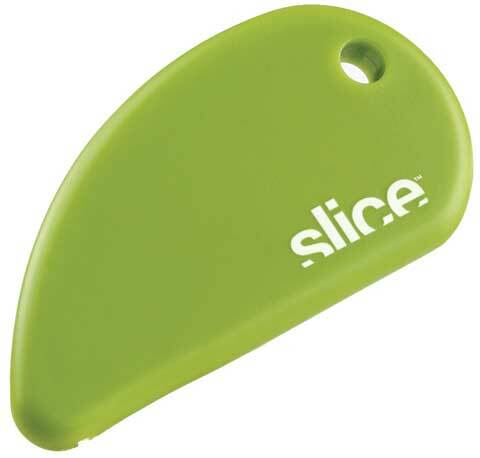 There is also a key ring hole to put the safety cutter on your key chain. It measures 2-1/4" x 1-1/4".